Patti is a partner in the firm's Labor & Employment Practice. Well-versed in a full range of counseling and litigation for employers, she knows and zealously represents her clients. Before state and federal courts and administrative agencies, Patti represents employers for claims under Title VII, the ADA, the ADEA, the FMLA, the FLSA, the REDA, the Sarbanes Oxley Act and AIR-21. She also has experience litigating and arbitrating cases involving claims of sexual harassment, intentional/negligent infliction of emotional distress, wrongful discharge, wage and hour disputes, unemployment compensation, contractual disputes, covenants not to compete and misappropriation of trade secrets. Patti routinely advises clients on compliance with federal and state employment laws and reviews handbooks and policies for compliance with the same. She also advises clients regarding data security issues, processes to protect confidential information, and what companies are required to do in the event of a data breach. In addition, Patti advises hospitals, continuing care retirement communities and various medical practices in litigated employment and business disputes between health care providers and senior executives. She also represents clients in defense of discrimination, harassment and retaliation claims. 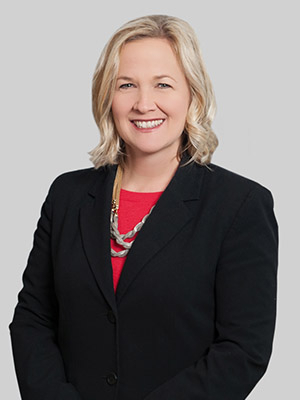 Patti was leader of the Labor and Employment Practice Group at Smith Moore Leatherwood LLP, which merged in 2018 with Fox Rothschild. She served as a clerk to Judge Ralph A. Walker, North Carolina Court of Appeals, from 1999-2000. Patti is active in a number of civic and community activities. She enjoys coaching youth basketball at the Spears YMCA and has coached one or more teams each season since 2010. Patti also enjoys teaching a children’s Sunday School class at Mt. Pisgah United Methodist Church, which she has done along with her husband since 2011. In January 2016, Patti began serving a three-year term on the Board of Trustees for her church, and from 2011-13, Patti served a 2-year term on the church’s Staff Parish Relations Committee. Patti also volunteers with the Women's Resource Center of Greensboro and has served in numerous leadership roles through the North Carolina Bar Association.